All on ground level, climate controlled, wide aisles, clean and spacious restrooms, helpful staff. Antique treasures in a lovingly restored antique building. 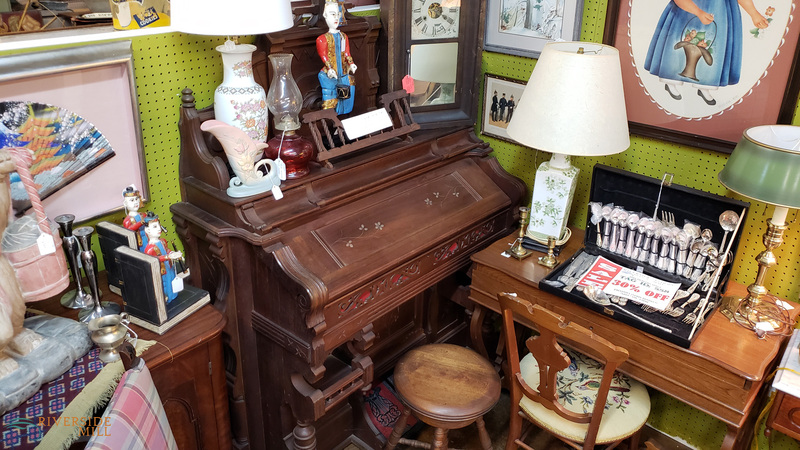 Antiques and collectibles at Riverside Mill in Weldon NC are more affordable these days. 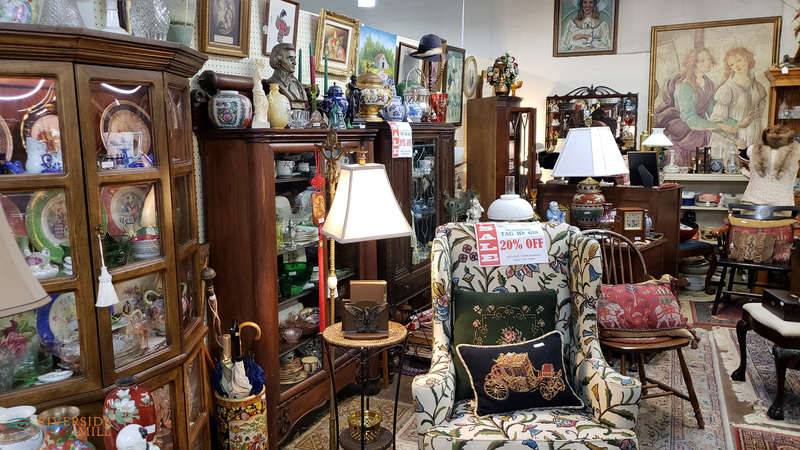 Our dealers scour estate sales, church bazaars, junk shops and auctions in this historic region to assemble treasures to offer to you in our Antiques Mall. Why not furnish your home with articles your children and grandchildren will cherish? Go green with antiques. 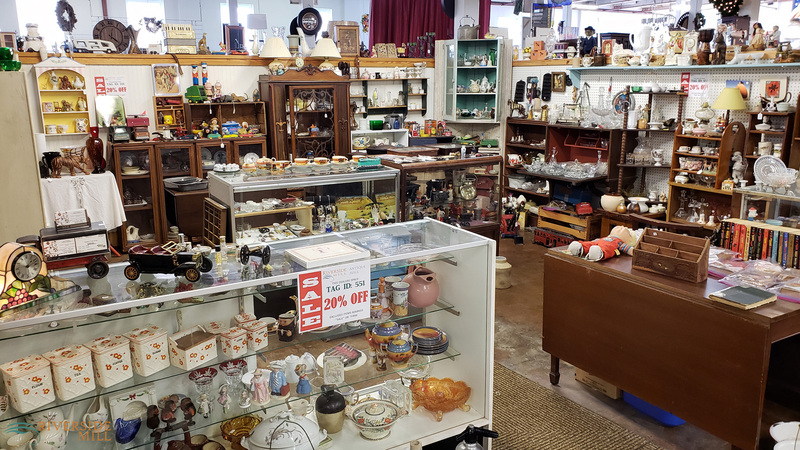 Over one-half acre of gleaming Antiques Mall, with North Carolina prices on collectibles and furniture. All on ground level, climate controlled, wide aisles, clean and spacious restrooms, helpful staff. Antique treasures in a lovingly restored antique building. Gleaming 20,000 sq. 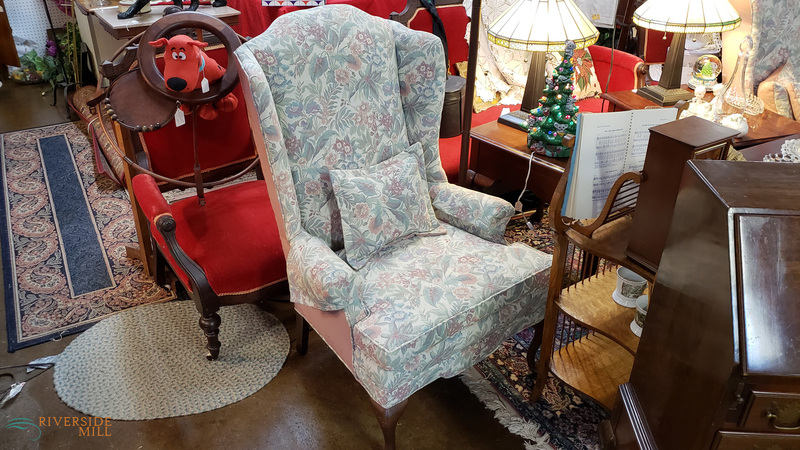 ft. Antiques Mall, with North Carolina prices on collectibles, furniture and furnishings. Everything is clean and bright. All on ground level, climate controlled, wide aisles, clean and spacious restrooms, helpful staff. Antique treasures in a lovingly restored antique building. Shipping available. 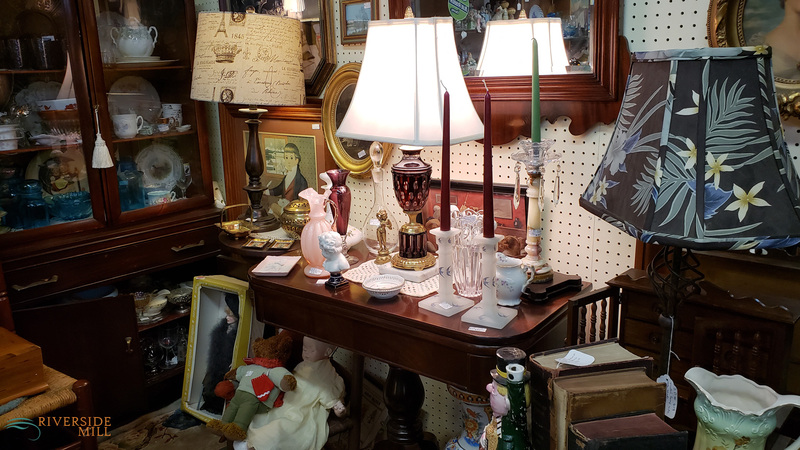 Antiques and collectibles at Riverside Mill in Weldon NC are more affordable these days. 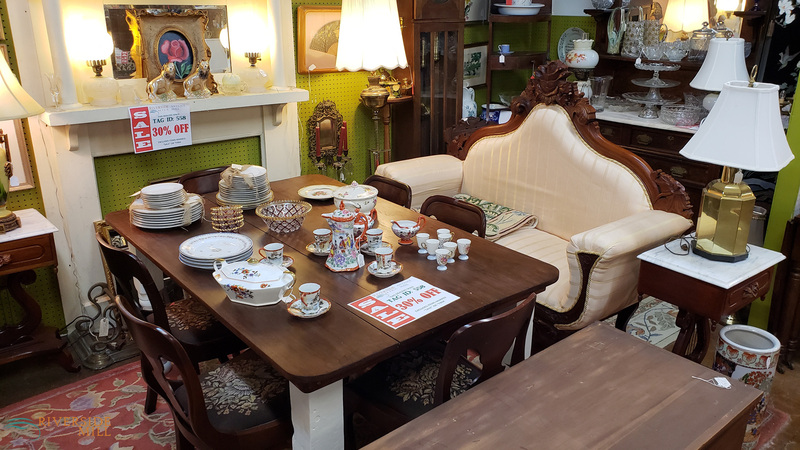 Our dealers scour estate sales, church bazaars, junk shops and auctions in this historic region to assemble treasures to offer to you in our Antiques Mall. They scout out the region and drive from place to place to find tremendous bargains so you can make your selections in the comfort and beauty of Riverside Mill. We also have dealers that are selling out their lifetime collections through booths at Riverside Mill. In some cases, attics and outbuildings are being mined to raise necessary cash, making this a true “Buyer’s Market.” So come and buy Riverside Mill in Weldon, NC. You will have a great story about how you acquired unique articles at a bargain price. And telling that story is half the fun of collecting. Many of our wonderful guests comment on the excellent lighting, wide aisles and clean surroundings of our Riverside Mill antique and collectibles mall. 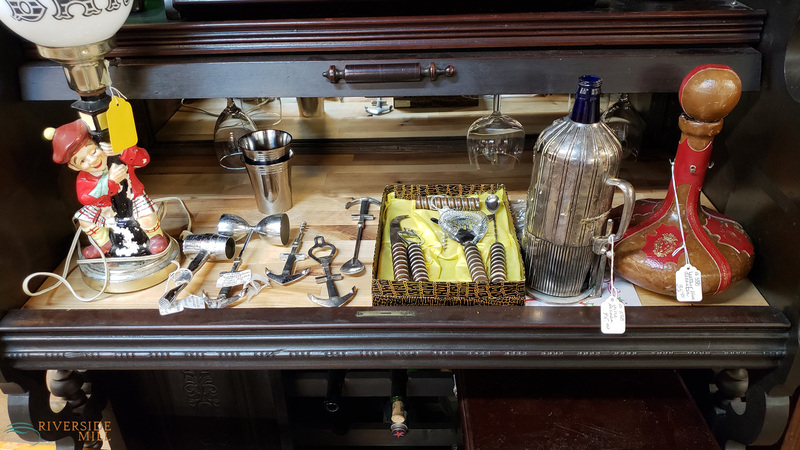 Some of our most dependable repeat customers are antiques dealers who always leave Riverside Mill with fresh inventory for their upscale shops. 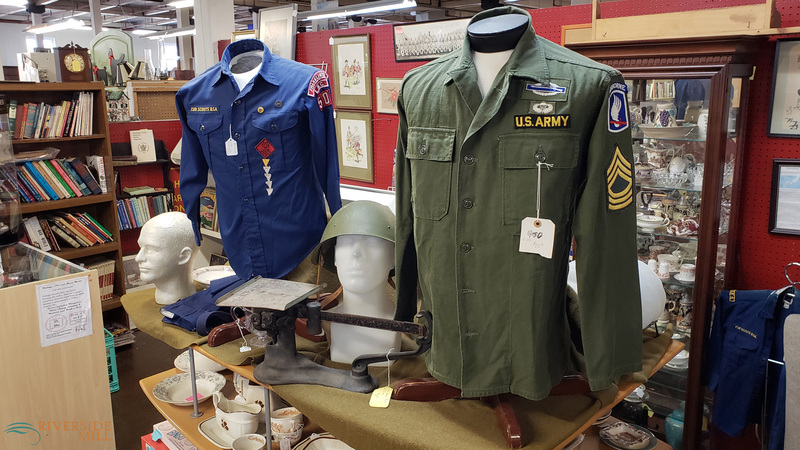 Come join the hunt for bargains and overlooked treasures at our clean and spacious Riverside Mill in historic Weldon, North Carolina. How many times have you purchased home furnishings from a “Big Box” store and experienced a feeling of disappointment as you unpacked boxes of furniture “parts” made of particle board and plastic, all bearing labels saying “Made Somewhere in Asia.”? Contrast that scenario to furnishing your home with quality products made for America’s finest homes in an era when quality materials and craftsmanship were the norm. Often you can acquire antique furnishings that do not depreciate for the same price you would pay for that box of unassembled furniture parts. Why not furnish your home with articles your children and grandchildren will cherish? Go green with antiques.